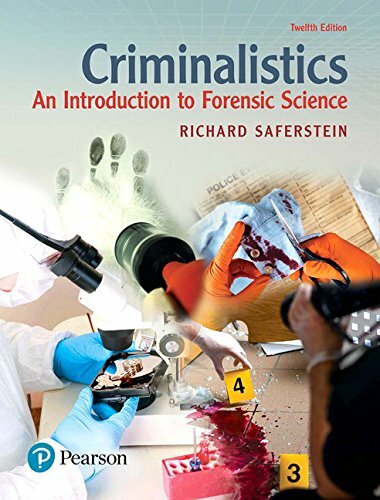 Criminalistics: An Introduction to Forensic Science, Twelfth Edition, uses clear writing, case stories, and modern technology to capture the pulse and fervor of forensic science investigations. Written for readers with no scientific background, only the most relevant scientific and technological concepts are presented. The nature of physical evidence is defined, and the limitations that technology and current knowledge impose on its individualization and characterization are examined. A major portion of the text centers on discussions of the common items of physical evidence encountered at crime scenes. Particular attention is paid to the meaning and role of probability in interpreting the evidential significance of scientifically evaluated evidence. Updated throughout, the Twelfth Edition includes a new chapter on the exciting field of forensic biometrics. With its easy-to-understand writing and straightforward presentation, this best-selling text is clear and comprehensible to a wide variety of students.